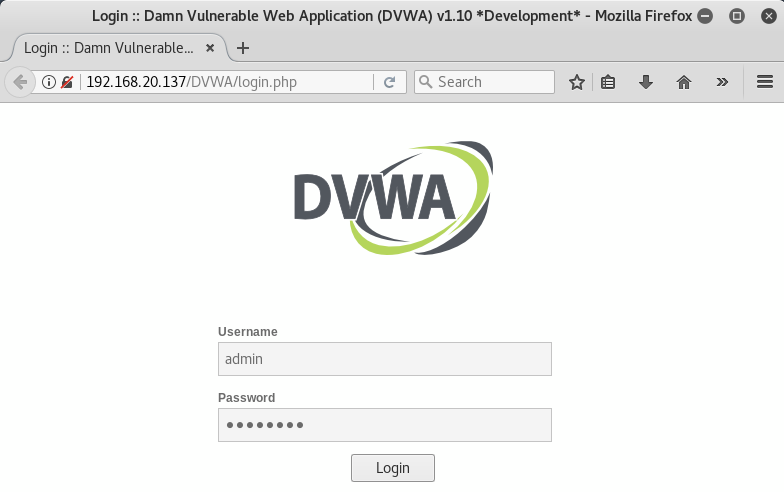 Damn Vulnerable Web App (DVWA) is a PHP/MySQL web application that is damn defenseless. Hacking anything without the permission is a Crime. So as a student or beginners from where you got this permission so you can use this. For advanced users to sharpen their skill DVWA is the best platform. In DVWA you do not have to take permission from others, you can simply install this in a virtual environment and start using it. This is the best place to do hacking. In fact, this is running in your local environment and it is totally legal. 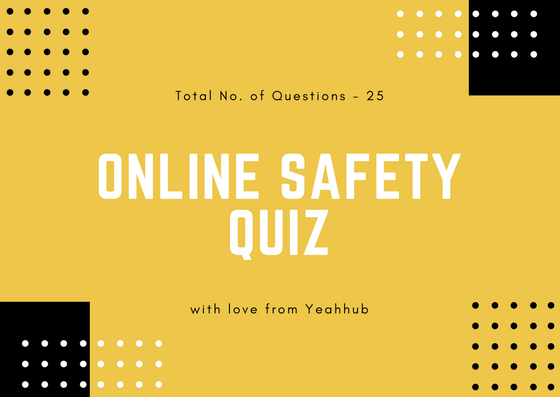 As well as being vulnerable, DVWA has some other features which aid in the teaching or learning of web application security. 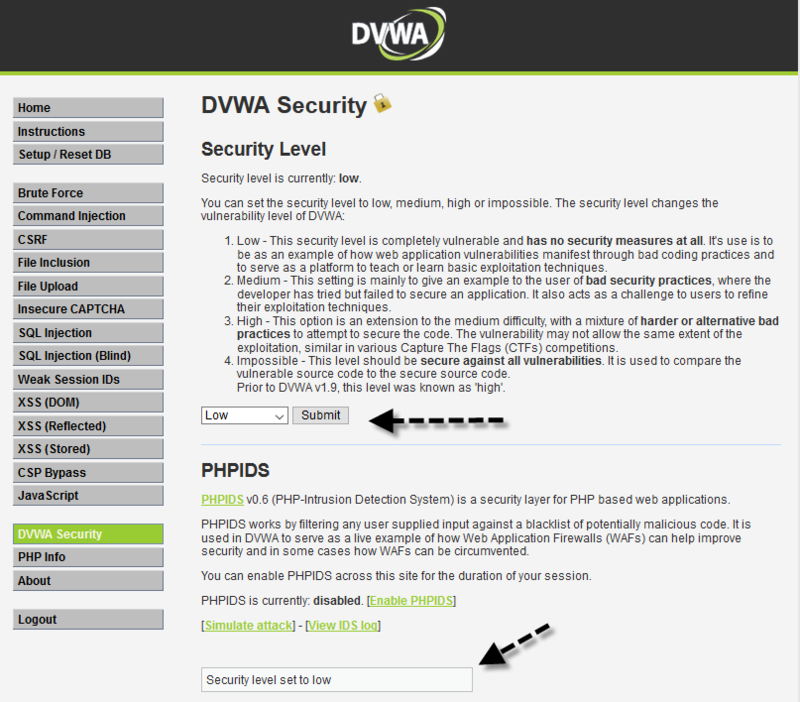 DVWAs Security features can be divided into two parts, one is the security levels and the other is PHP-IDS. The security levels are named low, medium, high and impossible. Each level changes the vulnerability state of DVWA throughout the application. By default when DVWA is loaded the security level is set to Impossible. 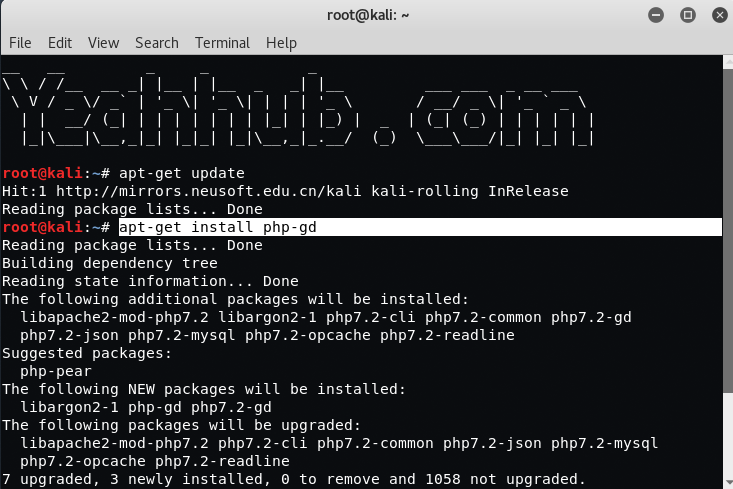 PHP-IDS is a popular PHP Intrusion Detection System (IDS) also known as a Web Application Firewall (WAF). PHP-IDS works by filtering any user supplied input against a blacklist of potentially malicious code. PHP-IDS is used in DVWA to serve as a live example of how WAFs can help improve security in web applications and in some cases how WAFs can be circumvented. There is also more Vulnerable machine available like bWAPP, Mutillidae, Metasplotiable you can also try these. Note: Make sure that, you must download the above package of DVWA inside /var/www/html directory. 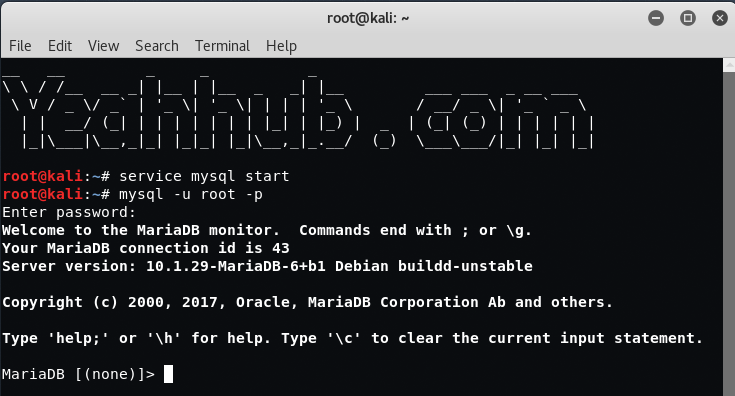 In this step, you need to run a couple of commands for creating a database and user. 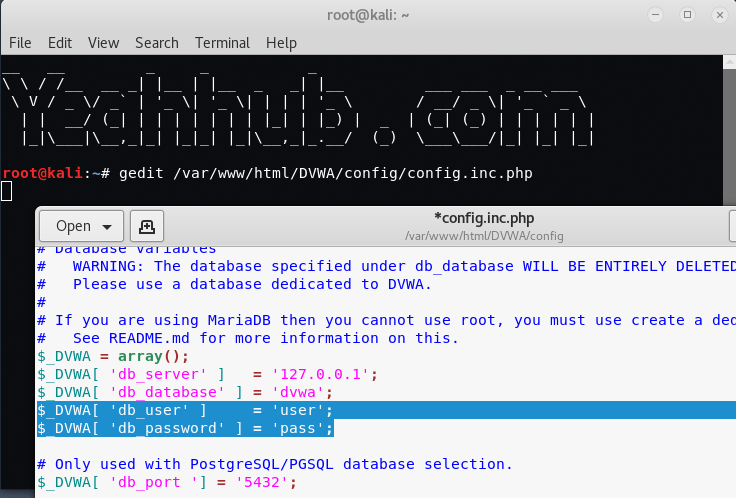 Furthermore, you need to edit your DVWA configuration file (located at /config/config.inc.php) and edit the details as per below screenshot. 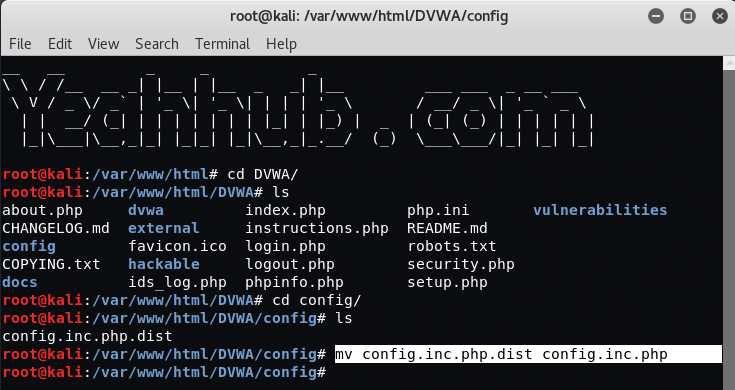 Next, the mandatory thing to run DVWA is a PHP-GD module which is necessary for this application and can be installed via apt-get install php-gd. After that, you can see that it satisfies all the conditions which DVWA needs. When everything goes right, simply click on “Create/Reset Database” which automatically installs DVWA application. 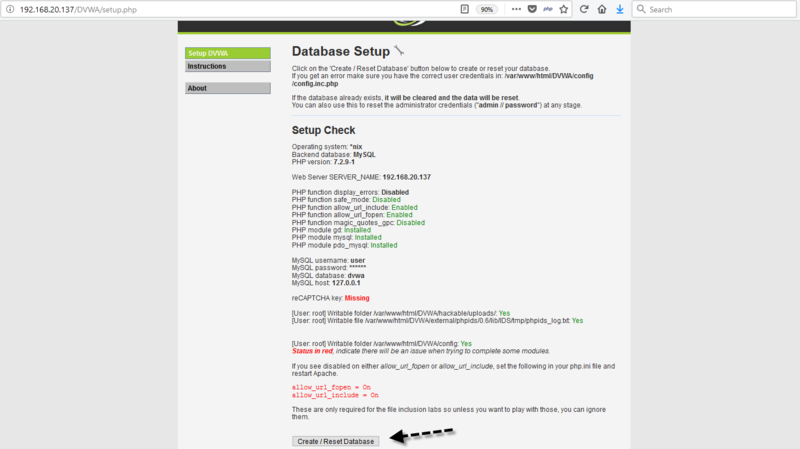 The below screen is the output, when you click on “Create/Reset Database” button. And last, set your security level to “low“, “medium“, “high” or “b”. The low setting mimics a vulnerable web application, while the high setting mimics a secure web application. In order to identify the vulnerabilities in a web application, you must be attacking a vulnerable system. DVWA can be used in a variety of ways. It can be used to teach web application security by showing practical examples and setting challenges for the students. It can be used as just a learning aid, DVWA is designed as such to be as easy as possible to set up and use. There is plenty of information within DVWA to help the beginner get started. DVWA can also be used as a reference to secure coding, if a developer is not quite sure if they have protected their application against XSS for example, they can view DVWAs source code as a reference. After all the DVWA source code has been peer reviewed by thousands of security professionals and students.